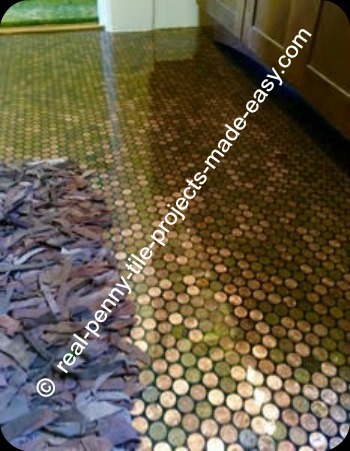 Pictures of PENNIES Installed as Mosaic Tile Sheets on Wall, Floor, Backsplash.. 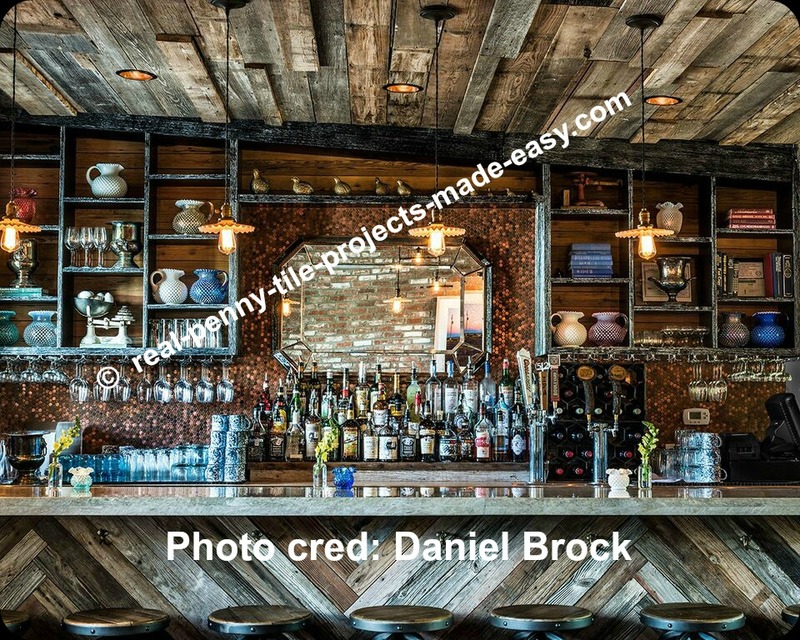 Customer provided pictures showing their projects made with our Penny Tile Sheets. Full wall around fireplace covered with our tile sheets of pennies. Kitchen wall covered in tile sheets of pennies from floor to ceiling. 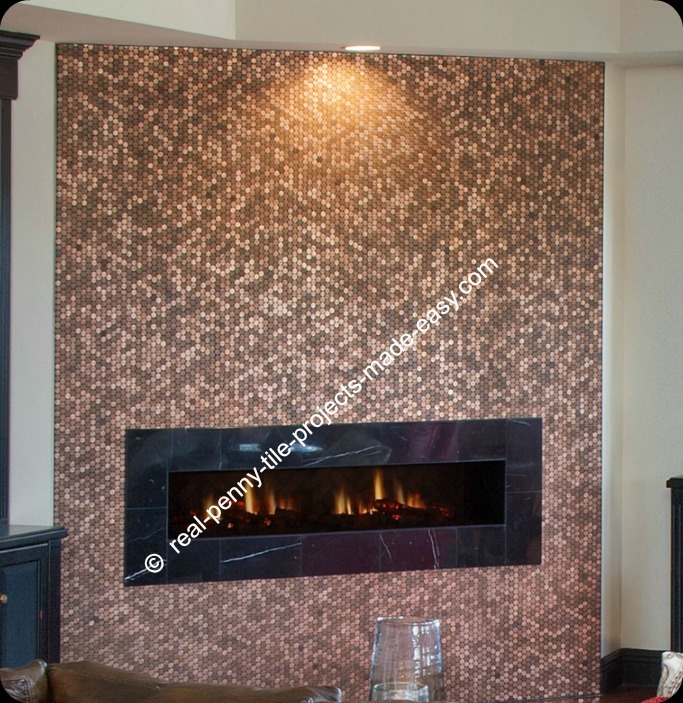 Walls covered in sheets of pennies from countertop to ceiling... or the ultimate backsplash made with mosaic sheets of pennies. 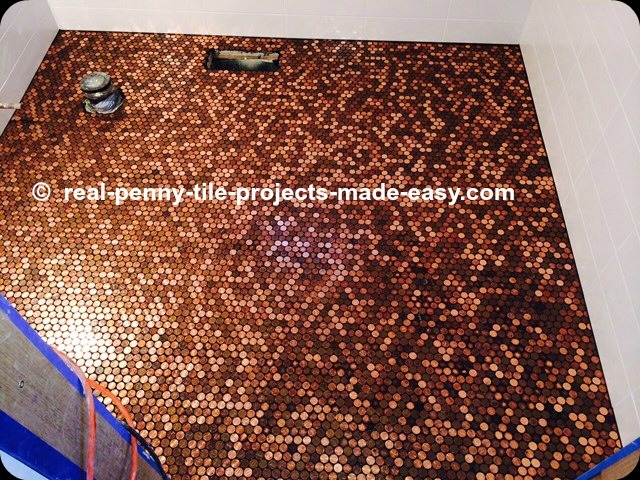 Sheets of pennies installed as tile on bathroom floor. 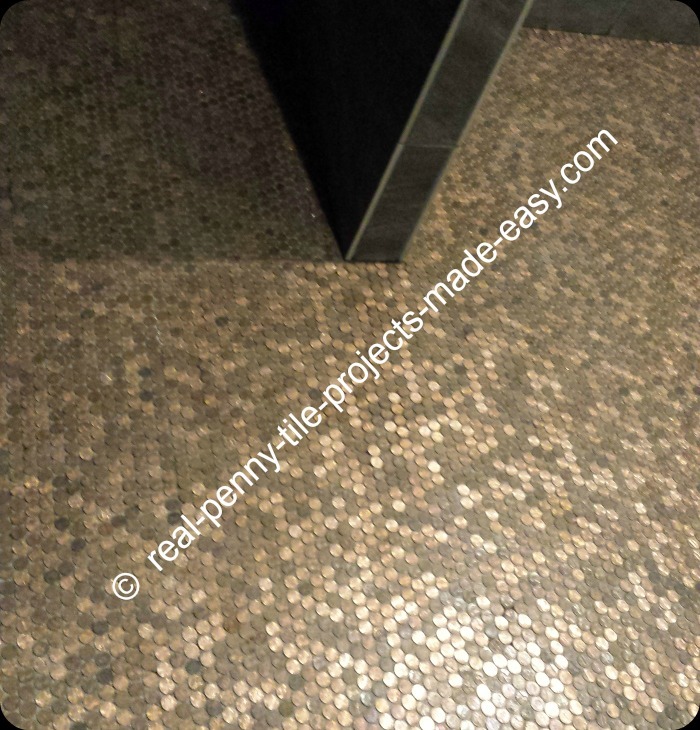 Penny tile sheets installed on concrete bathroom floor (shown before grouting). 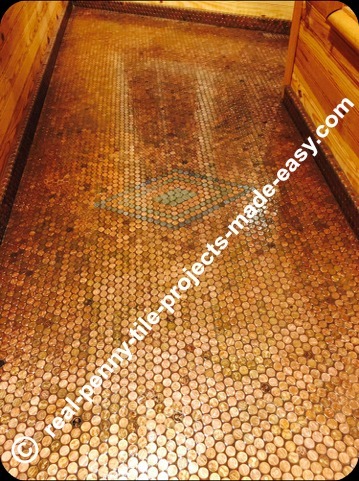 Floor and baseboard covered with tile sheets of pennies. Also includes customer's own diamond shape design probably made with nickels and dimes. The bar backsplash/wall has sheets of pennies installed all around the shelves. 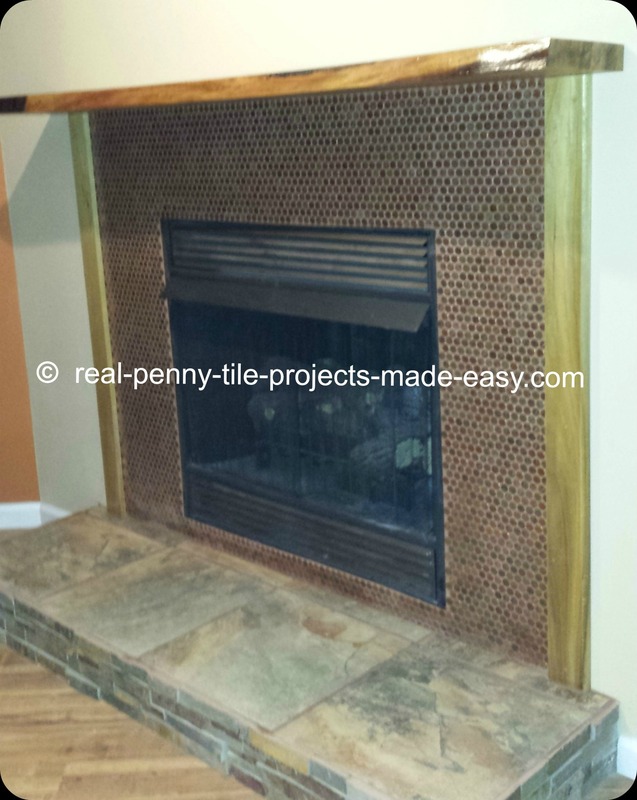 Fireplace finished with tile sheets of pennies including custom made sizes per customer's instructions. Pennies installed on bathroom floor against white/light wall tile.